Here’s a BART ad that we can all get behind. 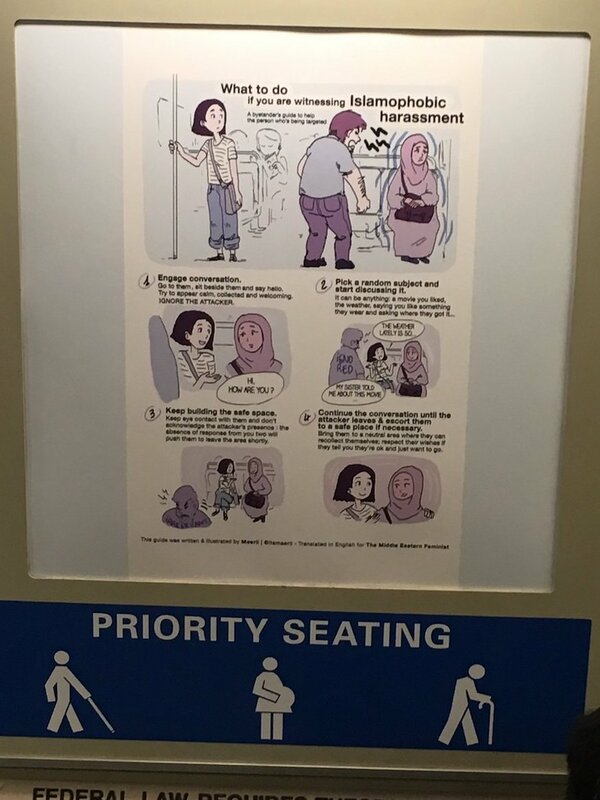 From Uptown Almanac’s @kevinmonty, the poster encourages bystanders to engage in conversation with the person who is the target of Islamophobic harassment. A simple “Hi, how are you?” or engaging in a random topic of conversation could deter further terrible behavior. Have you tried similar tactics to contain a potentially aggressive situation? Or maybe you went straight to the Taser method? How would you de-escalate a situation? Hat tip to Amy over at the super-plugged-in, very funny Capp Street Crap for pointing this our way. 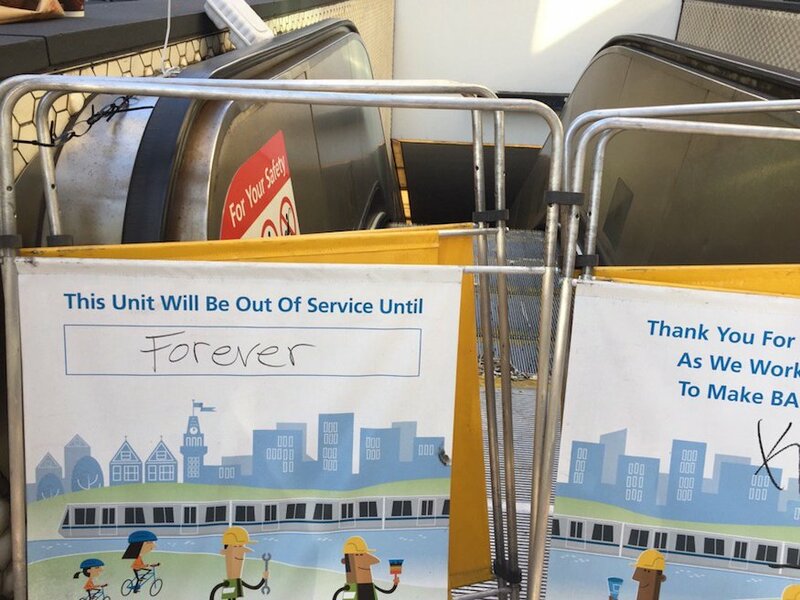 BART begins using crowdsourced escalator signs? 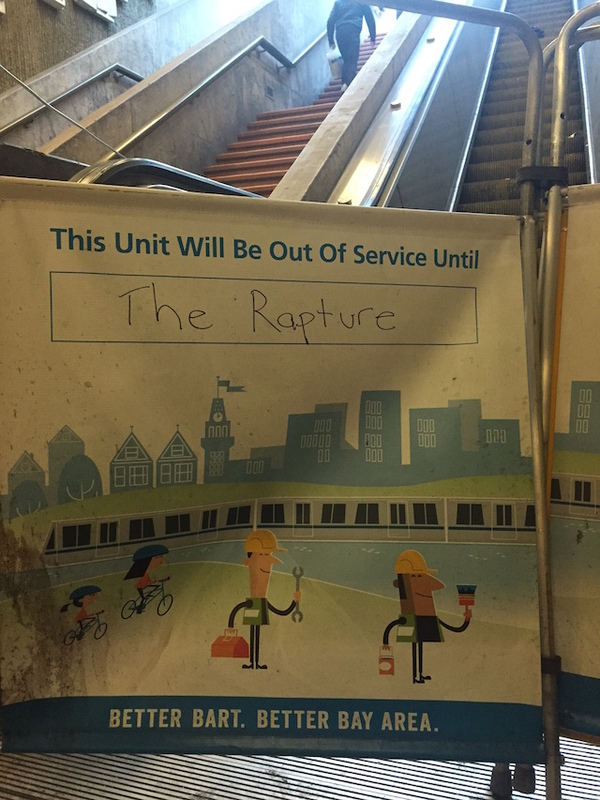 Plugging into the wisdom of the crowd, we now have the answer to, “When will the station escalator finally be fixed?” Above is the latest prediction via @urban_adventure. Here’s the final word on when the escalator will be restored. Put it on your calendar, everyone. Submitted by Amy at Capp Street Crap. Oh, San Francisco, you’re adorably funny when you’re cranky. What else did you spot on your commute today? 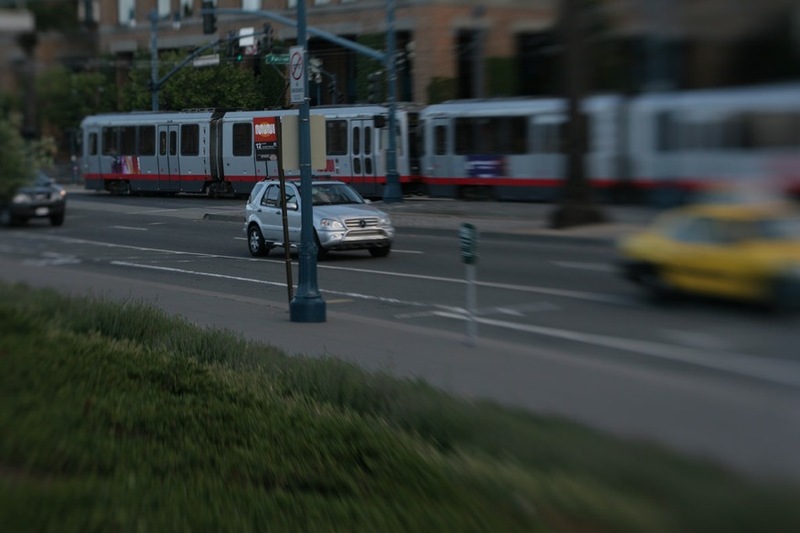 Muni Diaries is entirely made of stories (and photos) from riders like you. Tag us on Facebook, Instagram, or Twitter to add your own diary entry of life in SF. 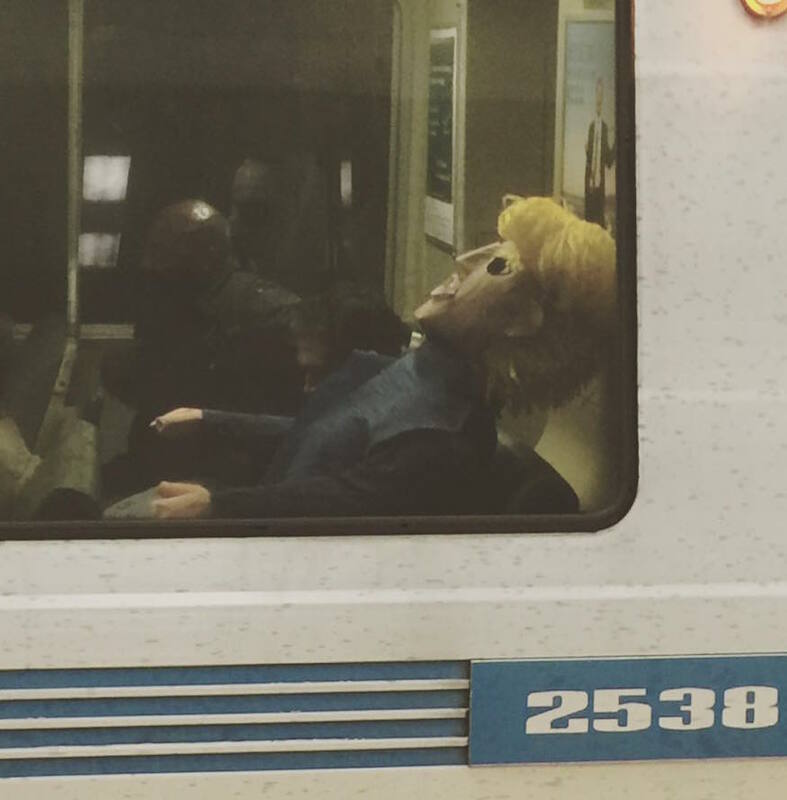 What an unlikely transit rider Donald Trump is. Thanks @sactoerik for the Drumph pic! We’re blessed with awesome local weekend spots close by, like Dolores Park and Lake Merritt, but sometimes you just want to get out of town for a minute. Instead of shelling out money to rent a car, what if you could get BART to take you to one of those darling little towns and play tourist for a day? Taking any transit route to the end of the line can feel like an adventure, and it’s surprising how easily you can turn a commuter train ride into an actual getaway. 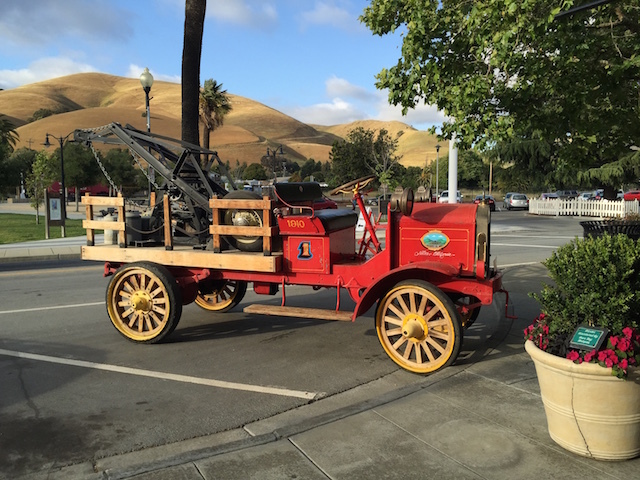 It’s the ultimate Clipper Card hack, and a great example of a hidden weekend trip is the Historic Niles District in Fremont. 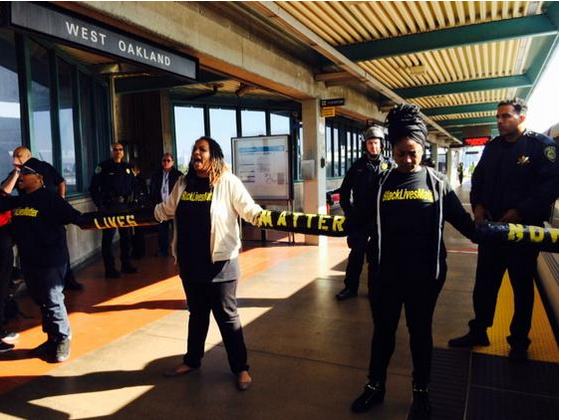 The West Oakland station has just reopened after Ferguson activists chained themselves to a BART train this morning and closed down the station all morning, according to @SFBART. 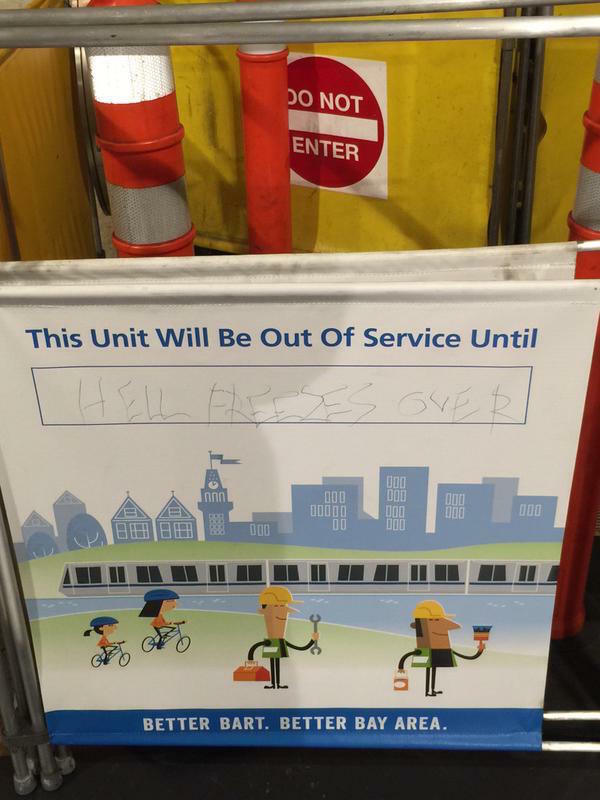 As of 3:07 p.m., the station has just reopened and BART continues to experience delays. 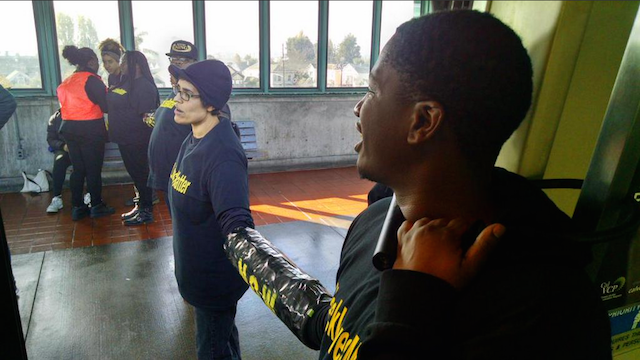 The San Francisco Examiner reports that about 15-25 protesters chained themselves to trains on both sides of the West Oakland station, and passengers were evacuated. Because of the protest, trains cannot travel to and from the Transbay Terminal. The protest was first reported around 10:45 a.m., the Examiner reports. CBS Local reports that several protesters were arrested.